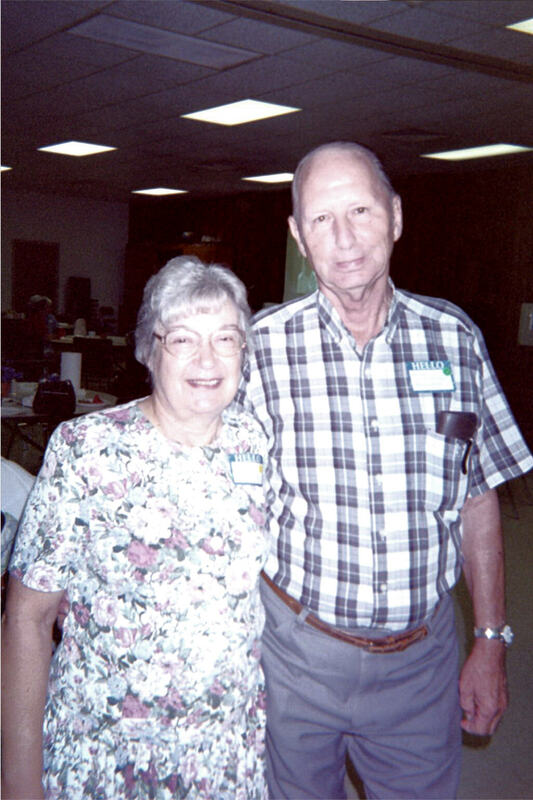 Gloria Marylou Dowden married Robert Glennon Richardson. 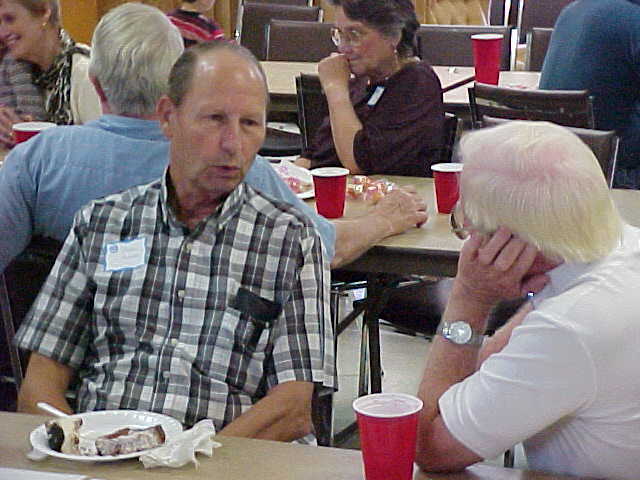 This is Gloria's husband, Glennon Richardson, talking with her cousin, Keenon Dowden, at the Dowden Family Reunion. Click DOWDEN to go back up to Gloria's parents. Click Richardson to go up to Glennon's parents.